BECOME A IDAHO HORSEMEN HOST FAMILY!! Becoming an Idaho Horsemen Rising Stars Host Family is a very important service provided by the community whereby players are “adopted” for the season, during their stay in Idaho, at no cost to the player. All players are on a minimum salary, so Host Families help ease this burden by becoming a player’s home away from home during his stay in Idaho. The players are in Idaho for a 12 game season, a pre-season training camp, and an end of season playoff. All players arrive in Idaho mid to late February with the first game around the 3rd week of March. 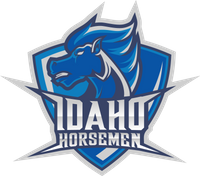 The Idaho Horsemen's regular season lasts until June, finishing up with the playoffs in July. If you are interested in becoming an Idaho Horsemen Host Family, or have any questions please contact Jennifer, Housing Coordinator, at jmauk@gohorsemen.com. Number family members in the home? How many players would you like to house? Will players share a bedroom? Is tobacco used inside the home? ANSWER: Use the registration form below to get the process started. We will be in contact with more information. Do I need to attend all the games? ANSWER: No, but the players are encouraged by your attendance. Does Host Family need to live close to the arena? ANSWER: No. But, if the player doesn't bring his own transportation, he would need help with this (the team plans to help as well). Does the Host Family provide transportation to and from arena? ANSWER: Host Family is not required to provide transportation although help in arranging transportation is always appreciated. The team will work with all parties. Does the Host Family need to provide all meals? ANSWER: No, but available food that can be fixed is appreciated..
What do I do if I have a problem with a player? ANSWER: Our goal is for our host families and athletes to have a positive experience. Please contact team management immediately.